Have you experienced alligatoring (inter-connecting cracks creating many individual pieces of asphalt) in one area of your driveway? Has a tree root lifted a section of the driveway? Is there a pothole? All of these can be corrected with an asphalt repair. Our expertly trained staff will remove the damaged asphalt and re-pave the area for you. If the damage is at the bottom of the driveway, you may also want to consider having a paver apron installed. A paver apron is a great way to address your concern and increase the curb appeal of your property. To request a free, no-obligation estimate for either an asphalt repair or a paver apron. If you have concerns with multiple areas of your driveway then a complete resurfacing may be in order. Are there so many cracks in the driveway that it is beginning to look like a road map of New Jersey? Do you notice significant settling at the garage openings or elsewhere in the driveway? Are you getting ready to list your house with a realtor? It may be time for a complete driveway resurfacing. A new driveway is a sure way to give your home added curb appeal for those prospective buyers! Have you noticed your concrete cracking, settling, or lifting from tree roots? Is the surface raveling from the excessive use of rock salt? Have you tried power washing the concrete but are still unhappy with its appearance? Perhaps it is time to replace that old walkway or patio with new concrete or pavers. Is there a newly-licensed driver in the family? Considering purchasing a camper, trailer, boat, or an extra vehicle? Are there deep ruts along the edges of your driveway due to vehicles running off the driveway edge? These are all great reasons to have your driveway extended professionally. A hot crack repair is a heated, rubberized crack filler designed to repair those cracks completely spanning the non-parking areas of the driveway. Since asphalt constricts in periods of colder weather, those cracks are at their widest this time of the year, meaning we are able to get the greatest amount of rubberized filler into them. More rubberized filler means greater elasticity allowing the filler to keep the crack closed for a longer period of time. Our entire staff at Sureseal, LLC would like to thank you for your business and we look forward to serving you this season and for many years to come. We hope that you have been completely satisfied with your Sureseal, LLC experience and we would love your feedback so we can continue to improve our level of service. Please take a moment and send us a quick email at sures001@aol.com to let us know how we are doing. We hope that you will also refer us to your family, friends and neighbors. As always, we are here to answer any questions or concerns you may have at (215) 345-9074 during regular business hours. You can also visit our website 24 hours a day at www.sure-seal.net. We look forward to hearing from you! Now that the colder winter weather is upon us, it is time to forget about your driveway until spring, right? Absolutely not! Most damage to asphalt actually occurs over the winter. Proper maintenance before and during the winter season can help to greatly minimize costly driveway repairs later. 1. Prior to the first snowfall, have any wide cracks filled with a hot crack repair. This will keep melting snow and ice from getting into the cracks of the driveway and causing damage to the asphalt. 2. Remove snow frequently and completely from the driveway surface. Most major asphalt damage is caused by frequent freeze/thaw cycles. Keeping the asphalt free of snow and ice will help to reduce the number of freeze/thaw cycles the asphalt will endure during the winter and, thereby, reduce the likelihood of significant damage requiring repair next season. For snow removal, it is best to use either a snow blower or properly-adjusted snow plow. Each time the surface is scraped by an object such as a shovel or improperly-set plow, there is a risk of scraping off not only the seal coating, but also the asphalt surface itself. 3. If you need to remove ice from your driveway, choose calcium chloride over rock salt (sodium chloride). Calcium chloride is effective at melting ice to a temperature of -20 degrees Fahrenheit, whereas rock salt is effective only to a temperature of +15 degrees Fahrenheit. Calcium chloride melts ice faster than rock salt, with a lower risk of damage to asphalt, concrete, and surrounding vegetation. To request a delivery of calcium chloride to your home or office. All of us at Sureseal, LLC would like to thank you for your business and wish you and your family a very happy holiday season and a prosperous new year! Please remember that we are here for any questions or concerns you may have throughout this holiday season as always. 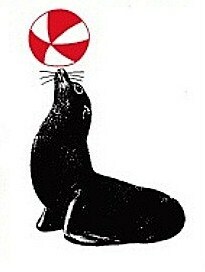 Please feel free to call our office at (215) 345-9074, or visit our website at www.sure-seal.net. Yes, the company you trust for all of your asphalt needs also does concrete! Eliminate the tripping hazard caused by breaking or settling sections of your concrete walkway and greatly improve the curb appeal of your property at the same time. To schedule a free, no-obligation estimate for your concrete project click here. Have you been dreaming of entertaining family and friends this summer on your new paver patio? Now is the time to start planning the design and completing the installation of your beautiful new patio. Our expertly trained staff will guide you through the entire process from determining the appropriate patio size, picking out the paver style and color, and maintaining the patio upon completion. If your driveway was last seal coated in 2015 or earlier, it is time to schedule another seal coating to help repair any cracks that may have appeared over the winter and to protect and beautify your driveway. Nothing says “spring is here” like some freshly mulched flower beds and a newly seal coated driveway, and seal coating more than doubles the life of the driveway! Did you know that SureSeal, LLC provides striping for outdoor sports courts? Did you have a basketball net installed over the winter? We can also provide professional ½-court striping on your driveway. Is there a newly-licensed driver in the family? Considering purchasing a camper, trailer, boat, or an extra vehicle for summertime enjoyment? Now is the time to plan the driveway extension necessary to accommodate that new purchase. Has the winter weather finally pushed your driveway past the point of no return? Have you been putting off resurfacing hoping that you can get “just one more year” out of the driveway? Now is the time to resurface the driveway before the first summer barbecue or the big graduation party at your home this summer! We would like to thank you for your business and we look forward to serving you this season at your home or business. We hope that you have been completely satisfied with your Sureseal, LLC experience and we would love your feedback so we can continue to improve our level of service. Please take a moment and send us a quick email at sures001@aol.com to let us know how we are doing. We hope that you will also refer us to your family, friends and neighbors. As always, we are here to answer any questions or concerns you may have at (215) 345-9074 during regular business hours. You can also visit our website 24 hours a day at www.sure-seal.net. We look forward to hearing from you! Have you been dreaming of entertaining family at the Memorial Day cookout this year? Time is running out complete the installation of your beautiful new patio. Our expertly trained staff will guide you through the entire process from determining the appropriate patio size, picking out the paver style and color, and maintaining the patio upon completion. Don’t wait any longer…CALL TODAY!!! Or, to request a free, no-obligation estimate for a paver patio or walkway. Now that you have completed your spring landscaping and mulching, your driveway could probably use a fresh seal coating. Remember, besides the added aesthetic value, seal coating more than doubles the life of the driveway! Having difficulty deciding on the perfect Mother’s Day gift? Surprise mom with a beautifully seal coated driveway!! To request a free, no-obligation seal coating estimate. Did you know that SureSeal, LLC provides striping for not only parking lots, but also outdoor sports courts? Wouldn’t it be nice to host the traditional family basketball game over Memorial Day weekend on a freshly striped ½ court in the driveway?? To request a free, no-obligation estimate for professional striping services. Considering purchasing a camper, trailer, boat, or an extra vehicle for summertime enjoyment? Worried about not having enough parking for all of the friends and family attending the big graduation party? Now is the time to plan the driveway extension necessary to put your mind at ease. To schedule a free, no-obligation estimate to have your driveway extended. Is your home approaching 20 years in age and you have noticed that one by one all of your neighbor’s are having their driveways resurfaced? Now is the time to resurface the driveway before the big graduation party or the first summer barbecue. To request a free, no-cost driveway resurfacing estimate. Give your dad a gift he will remember all year long. Besides the added aesthetic value, seal coating more than doubles the life of the driveway! Surprise dad with a beautifully seal coated driveway or parking lot at his office!! To request a free, no-obligation seal coating estimate. Did you know that SureSeal, LLC provides striping for not only parking lots, but also outdoor sports courts? Help keep your dad healthy by encouraging him to exercise on a freshly striped tennis court or a ½ court in the driveway?? To request a free, no-obligation estimate for professional striping services. Have you recently purchased a camper, trailer, boat, or an extra vehicle for summertime enjoyment? Worried about not having enough parking for all of the friends and family attending the big graduation party or 4th of July festivities? Now is the time to plan the driveway extension necessary to put your mind at ease. To schedule a free, no-obligation driveway extension estimate. Want to ensure your place as the favorite son/daughter? Call us to have dad’s driveway professionally resurfaced? Not only will this increase the value of the property, but will be a gift that lasts for 20 years or more. To request a free, no-cost driveway resurfacing estimate. Our expertly trained staff will guide you through the entire process from determining the appropriate patio size, picking out the paver style and color, and maintaining the patio upon completion. Don’t wait any longer, CALL TODAY!!! Before you know it, summer will be gone and the hectic fall seal coating season will be upon us. Don’t risk missing the opportunity to seal coat the driveway before the back to school rush is upon us. Remember, besides the added aesthetic value, seal coating more than doubles the life of the driveway! Did you know that SureSeal, LLC provides striping for not only parking lots, but also outdoor sports courts? Looking for a fun way to spend some quality time with the kids this summer? Do you have a child joining the school basketball team this fall? Help them sharpen their shooting skills with professionally striped half court in the driveway!! Have you recently purchased a camper, trailer, boat, or an extra vehicle for summertime enjoyment? Do you have a child in the house learning how to drive? Worried about not having enough parking? Now is the time to plan the driveway extension necessary to put your mind at ease. Is your home approaching 20 years in age and you have noticed that one by one all of your neighbor’s are having their driveways resurfaced? Don’t go through another summer being ashamed of the appearance of your driveway. Now is the ideal time to resurface the driveway! Before you know it, summer will be gone and the hectic fall seal coating season will be upon us. Don’t risk missing the opportunity to seal coat the driveway before the leaves start falling. Don’t risk winter damage by leaving your driveway with open cracks and without a protective seal coating. Remember, besides the added aesthetic value, seal coating more than doubles the life of the driveway! Is your home approaching 20 years in age and you have noticed that one by one all of your neighbor’s are having their driveways resurfaced? Don’t go through another winter of accidentally digging up pieces of your driveway every time you remove the snow. If you were waiting for the cooler temperatures to arrive before paving the driveway, now is the ideal time to request an estimate! Are your children returning to college and leaving their cars at home? Do you want to avoid the hassle of jockeying cars on a daily basis? Planning on parking your camper or boat at your home for the off-season? Now is the time to plan the driveway extension necessary to solve all of your parking dilemmas. It’s never too late to replace an old walkway or patio or have a new one installed. We can provide estimates to replace broken curbs or garage sills, install paver or Belgium block aprons and driveway borders. We can also install retaining walls and concrete shed pads. Did you know that, in addition to providing asphalt services, SureSeal, LLC. also delivers firewood. We can deliver bulk seasoned wood or kiln dried firewood to your home. We can even stack the firewood for you for a slight additional charge. Have your firewood delivered today before the cold weather arrives, and rest easy that your home will be warm and comfortable all winter long! We can also deliver kiln dried kindling to make starting your winter fires a breeze! Our kindling comes delivered in a reusable Sureseal shopping bag. To request an estimate for firewood or kindling delivery, call our office at (215) 345-9074. Yes, we know it is only August! However, it is never too early to start planning for the upcoming winter season well before the first snowflakes hit the ground. Our staff is armed with shovels, snow blowers, salt spreaders, and snow plows of various sizes to expertly handle all of your snow removal needs for your home or business. Call for an estimate today and reserve your space on our snow removal customer list before it fills up! We offer delivery of various ice melting products right to your door. While there is a minimum delivery charge, this charge can be avoided by having the ice melting products delivered at the time of your driveway estimate, driveway service, or firewood delivery. Please call our office for more information and pricing at (215) 345-9074, and a member of our staff will call you to answer any questions you may have. Don’t risk missing the opportunity to seal coat the driveway before the leaves start falling and temperatures drop below the effective seal coating range. Don’t risk winter damage by leaving your driveway without a protective seal coating. Remember, besides the added aesthetic value, seal coating more than doubles the life of the driveway! Does your driveway have one or more cracks completely spanning the width of the driveway? Don’t risk costly asphalt repairs by allowing water to freeze in these cracks over the winter months. Even if you are not in a financial position to seal coat the driveway at this time, you can still have us professionally fill those cracks with a hot crack filler. Have your children returned to college but their cars haven’t? Do you want to avoid the hassle of jockeying cars on a daily basis? Planning on parking your camper or boat at your home for the off-season? Now is the time to plan the driveway extension necessary to solve all of your parking dilemmas. Have you recently gone through the expense of having your driveway paved only to have it damaged by power steering marks? Do you see mushrooms popping up in your new driveway due to all of the rainfall we have had this year? Did you know there is a way to repair these types of asphalt issues without creating a patch-like appearance to the driveway? SureSeal offers infrared driveway repairs using specialized equipment to reheat the asphalt in affected areas to a workable temperature. The asphalt is then repaired and re-compacted, restoring your driveway back to its original condition. It’s never too late to replace an old walkway or patio or have a new one installed. We can provide estimates to replace broken curbs or garage sills, install paver or Belgium block aprons and driveway borders. We can also install retaining walls and concrete shed pads. Is there a better way to spend a crisp autumn evening than sitting on your new paver patio with a fire burning in your outdoor fire pit or fireplace? Did you know that, in addition to providing asphalt services, SureSeal, LLC. also delivers firewood. We can deliver bulk seasoned wood or kiln dried firewood to your home. We can even stack the firewood for you for a slight additional charge. Have your firewood delivered today before the cold weather arrives, and rest easy that your home will be warm and comfortable all winter long! To request current firewood pricing, or more information regarding our seasoned or kiln-dried firewood, please call our office at (215) 345-9074. While we all love sitting by the fire on a cool autumn evening or cold winter night, we also despise the hassle of getting the fire started. SureSeal has an easy solution for you! We can deliver kiln dried kindling to make starting your winter fires a breeze! Our kindling comes delivered in a reusable Sureseal shopping bag and lights quickly and easily with a match. No more saving newspapers or running out to the yard collecting twigs to get your fire started! To request kindling pricing or information, please call our office at (215) 345-9074. We offer delivery of various ice melting products right to your door. While there is a minimum delivery charge, this charge can be avoided by having the ice melting products delivered at the time of your driveway estimate, driveway service, or firewood delivery. Please call our office for more information and pricing at (215) 345-9074 and a member of our staff will call you to answer any questions you may have. It’s hard to believe that Halloween has already passed and Thanksgiving is quickly approaching. The arrival of November has brought a definite autumn crispness to the air, and the seal coating season is rapidly winding down. If you have any plans of having your driveway seal coated this season, you need to get onto our schedule within the next few days! We may be just several weeks away from the end of the seal coating season! Don’t risk missing the opportunity to seal coat the driveway before the temperature drops below the effective seal coating range. Don’t risk winter damage by leaving your driveway without a protective seal coating. Remember, besides the added aesthetic value, seal coating more than doubles the life of the driveway! Does your driveway have one or more cracks completely spanning the width of the driveway? Don’t risk costly asphalt repairs by allowing water to freeze in these cracks over the winter months. Even if you are not in a financial position to seal coat the driveway at this time, you can still have us professionally fill those cracks with a hot crack filler, and maybe follow up with a seal coating in the spring. Did you notice your recent trick-or-treaters tripping over tree roots or falling into potholes in your driveway? Are you the last one in the neighborhood to have your driveway resurfaced? Don’t go through another winter of accidentally digging up pieces of your driveway every time you remove the snow. If you were waiting for the cooler temperatures to arrive before paving the driveway, now is the ideal time to request an estimate! Are you expecting extra company this holiday season? Do you need additional parking to store your boat or camper for the winter? Are the kids coming home for a few weeks during winter break? It’s not too late to have your driveway extended! The long-range weather predictions call for a colder than average winter with above average snowfall throughout the northeast. Now is the time to stock up on firewood before the first snowfall is upon us. Don’t risk losing your heat due to the first winter storm. Our firewood is sure to keep your home warm and toasty throughout the winter season. We can deliver bulk seasoned wood or kiln dried firewood to your home. We can even stack the firewood for you for a slight additional charge. Beat the winter rush and have your firewood delivered today and save yourself the hassle of stacking the wood in the cold winter temperatures! While we all love sitting by the fire on a cool autumn evening or cold winter night, we also despise the hassle of getting the fire started. SureSeal has an easy solution for you! We can deliver kiln dried kindling to make starting your winter fires a breeze! Our kindling comes delivered in a reusable SureSeal shopping bag and lights quickly and easily with a match. No more saving newspapers or running out to the yard collecting twigs to get your fire started! We offer delivery of various ice melting products right to your door. While there is a minimum delivery charge, this charge can be avoided by having the ice melting products delivered at the time of your driveway estimate, driveway service, or firewood delivery. If you or someone you know is interested in a position at SureSeal, please forward a resume to suresealcareers@gmail.com, or you may call our office at (215) 345-9074. September was a month of several devastating hurricanes in the United States, and many of our fellow Americans are still struggling to rebuild their lives in Texas, Florida, and Puerto Rico. We encourage all of our employees and customers to donate some time, money, or non-perishable food items to reputable charities to assist those in need. We also ask you to keep the families affected by the terrible violence that struck Las Vegas on October 1, 2017 in your thoughts and prayers. Tragedy also struck the SureSeal family in September, as a member of our paving crew was killed and another critically injured following a very serious motor vehicle accident returning from an out of state trip. We mourn the loss of Chris and are encouraged by Ed’s continued recovery. Chris’s brother Ben, who is one of our seal coating crew leaders, has taken an extended leave of absence and we continue to send our best wishes out to him and his family in their time of grief. We may be just several weeks away from the end of the seal coating season! Don’t risk missing the opportunity to seal coat the driveway before the temperature drops below the effective seal coating range. Don’t risk winter damage by leaving your driveway without a protective seal coating. Remember, besides the added aesthetic value, seal coating more than doubles the life of the driveway! To request a free, no-obligation seal coating estimate. Does your driveway have one or more cracks completely spanning the width of the driveway? Don’t risk costly asphalt repairs by allowing water to freeze in these cracks over the winter months. Even if you are not in a financial position to seal coat the driveway at this time, you can still have us professionally fill those cracks with a hot crack filler. To request a free, no-cost estimate for hot crack repairs. Is your driveway full of potholes and tree roots that may become tripping hazards for the young trick-or-treaters that will be descending upon your home later this month? Have you noticed that many of your neighbors have already had their driveways resurfaced? Don’t go through another winter of accidentally digging up pieces of your driveway every time you remove the snow. If you were waiting for the cooler temperatures to arrive before paving the driveway, now is the ideal time to request an estimate! To request a free, no-cost driveway resurfacing estimate. Do you enjoy spending the cool Autumn nights sitting in front of your outdoor fireplace or fire pit? Did you know that, in addition to providing asphalt services, SureSeal, LLC. also delivers firewood? We can deliver bulk seasoned wood or kiln dried firewood to your home. We can even stack the firewood for you for a slight additional charge. Have your firewood delivered today before the cold weather arrives, and rest easy that your home will be warm and comfortable all winter long! To request current firewood pricing, or more information regarding our seasoned or kiln-dried firewood, please call our office at (215) 345-9074. While we all love sitting by the fire on a cool autumn evening or cold winter night, we also despise the hassle of getting the fire started. SureSeal has an easy solution for you! We can deliver kiln dried kindling to make starting your winter fires a breeze! Our kindling comes delivered in a reusable Sureseal shopping bag and lights quickly and easily with a match. No more saving newspapers or running out to the yard collecting twigs to get your fire started! To request kindling pricing or information call our office at (215) 345-9074. Having any wide cracks filled prior to the first snowfall with our heated, rubberized crack filler will keep melting snow and ice from getting into the cracks of the driveway and causing damage to the asphalt. Are you expecting extra company this holiday season? Do you need additional parking to store your boat or camper for the winter? Are the kids coming home from college for a few weeks during winter break? It’s not too late to have your driveway extended! SureSeal offers snow removal services to commercial properties throughout Bucks County, and to residential properties in the Doylestown area. • Calcium chloride is effective at melting ice to a temperature of -20 degrees Fahrenheit, whereas rock salt is effective only to a temperature of +15 degrees Fahrenheit. • Calcium chloride melts ice faster than rock salt, with a lower risk of damage to asphalt, concrete, and surrounding vegetation. Sureseal offers delivery of ice-melting products for your home or office (a minimum order applies for free delivery).